Representatives of Ubisoft shares details about the role-playing system of the new Far Cry. Most changes will affect equipment and game economics. 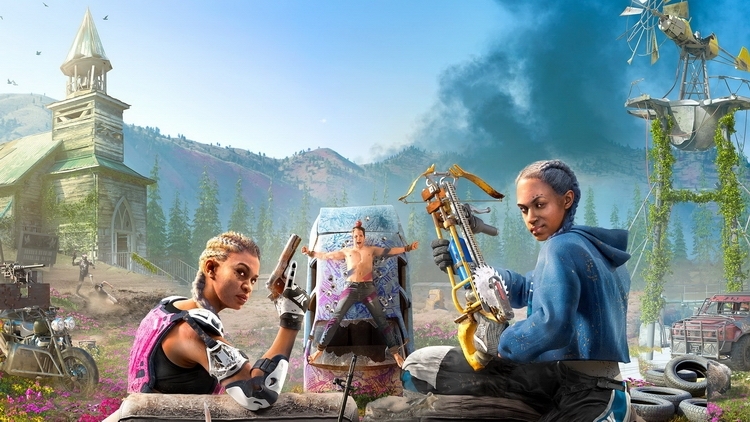 Creative Director Jean-Sebastien Decant, who is now in charge of developing Far Cry: New Dawn, shared some details about the upcoming shooter with gamers. In particular, the Decant spoke about the new RPG-system, which will appear in the game. Weapons and opponents will have ranks. For example, if a gamer succeeds at the very beginning of the passage to find powerful weapons of a high level, then it will be easier to kill opponents. And vice versa – if a player has a weak weapon, then there can be no talk of any successful seizure of an outpost by assault. Now the main character has his own base, on which his team lives. Gang members can take with them on assignment, and the base itself will be allowed to pump, which will open access to new upgrades for weapons and equipment. In New Dawn, craft will generally come to the fore, because the world will lie in ruins, and the design of a new weapon and cars will come from scrap metal. Another innovation in the game will be a modified system of outposts. Now, after capturing the enemy base, the player can leave it in his possession and populate with allies – so it will provide a small influx of resources – or plunder, which at once will give a lot of resources, but at the same time opponents can return and win back it. After that, it will be allowed to capture again, but the test will be much more difficult, because the enemy will come with stronger troops.